William of Mass Destruction: The Weekend Is Near. I'm wondering if I should make plans. The tenth anniversary of Albuquerque-based Breaking Bad will be celebrated on Saturday with a one day reappearance of the show's famous fried chicken place, Los Pollos Hermanos. Oh. My mom just told me there really won't be chicken there because in real life it's actually a burger place. I guess I'll just nap, then. 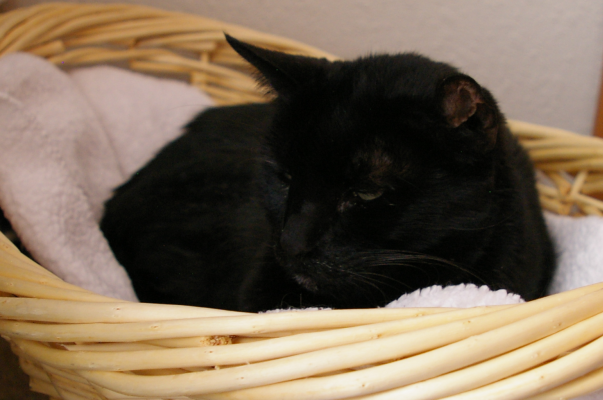 Our long-time friend Jasper of Jasper McKitten-Cat left for the Bridge yesterday. Please send his mom, dad and cat bro and sisters some love during this sad time. We would nap too. We like chicken. We are sad to hear about Jasper. He was a long time blogger too. a chick-hen place that only server bergers? that's weird. we are so sad about Jasper. Please don't tell my Brother Simon you can break bad, he would give it a go. We just came from Jasper's place, very sad indeed. Learned about Angel Jasper on FB; too sad. Maybe you kitties can talk your mom into bringing home some fried chicken frim any old place! What, no chicken at a place called Los Pollos Hermanos? That is just not right. Why didn't they name it Las Vacas Hermanas instead? Breaking Bad was one of the mom’s favorite shows. Now she’s disappointed to know Los Pollos Hermanos is really a burger joint. I was very sad to hear about Jasper too. Like William, he was one of our first friends to welcome us when we started blogging. You deserve chicken. I am sorry about Jasper, that is so sad. Chicken sounds good to me but I'll take the burger too! Los Pollos Hermanos was really a burger joint? And another illusion is burst. I think a nap is your best choice. Mom and dad were late bloomers to Breaking Bad, and did something called binge watched the entire series in like 2.5 nano seconds as mom would say. Carrying on where the tiny boy left off. Do not use any content or photos without prior written permission. I has a sad. I has a glad.